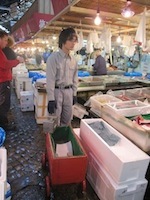 Tsukiji Fish Market or Tokyo Metropolitan Central Wholesale Market which is its official name, is one of the largest fish markets in the world. Which ones will it be? 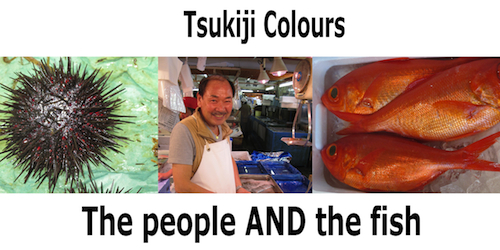 Tsukiji opened in 1935 and was named after the neighborhood where it is located. 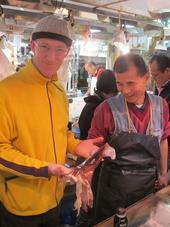 There are around 1,200 stalls covering 56 acres. 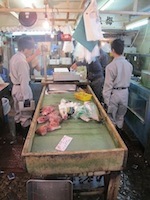 All kinds of seafood and vegetables are on sale here. The seafood arrives daily from 60 different countries. 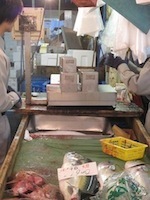 The fish is so fresh so there is rarely a fishy smell. A lot of the seafood arrives alive. Five million pounds of seafood, worth $28 million, is sold in the market every day, with 32,000 vehicles—trucks, vans, hand carts, bicycles, and tree-wheeled wagons and turret trucks that are narrow enough to maneuver down the narrow aisles. 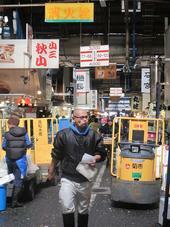 Over 1,000 tons of fruits and vegetables also pass through the market. 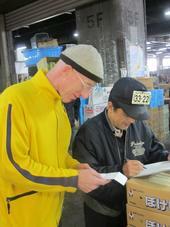 Official 'weighers' can be found at Tsukiji on a regular basis to ensure that all scales are correctly weighing in the catch.